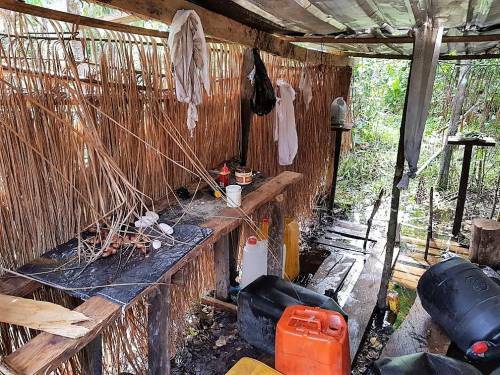 Cache of ammunition belonging to suspected Niger Delta militants were recovered and a shrine burnt by the Nigerian military who invaded a militant shrine in Delta state. Nigerian troops attached to Operation Crocodile Smile II seized ammunition belonging to suspected Niger Delta militants after storming their camp on Tuesday. The troops had been dispatched to Ajakurama, Gelegele and Egbema Kingdom in Warri North Local Government Area in the state when they discovered the camp, sources told our correspondent. Upon sighting the troops, the militants fled the scene. The soldiers subsequently searched the camp for weapons and set fire to the shrines at the camp. Speaking with SaharaReporters anonymously, one of the community leaders said on Tuesday, "Soldiers stormed our communities in search of criminals, especially armed militants involved in criminal activities as part of the exercise of the Operation Crocodile Smile II, which was flagged off in Delta State last week. 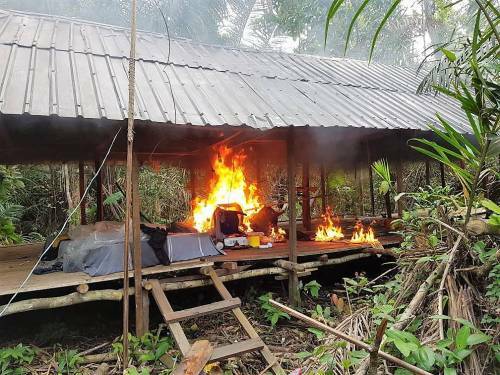 The militants, on sighting the uniformed men, fled their camp and the soldiers set on fire their shrines and recovered several items, including ammunition." Community sources disclosed that they were relieved to hear that the troops drove militants out of the area. One source said efforts to stop the militants’ activities had been unsuccessful until Tuesday’s operation. "Ajakurama community is the center of havoc for the militants in Warri North GLA. 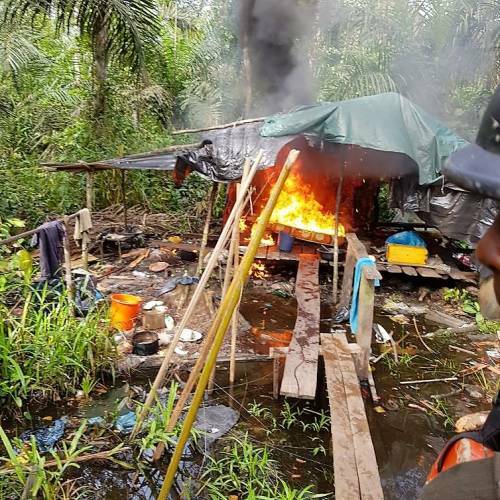 Ajakurama community was completely combed by the men of Operation Crocodile Smile II and all hideouts of criminals were destroyed,” one member of the community said. 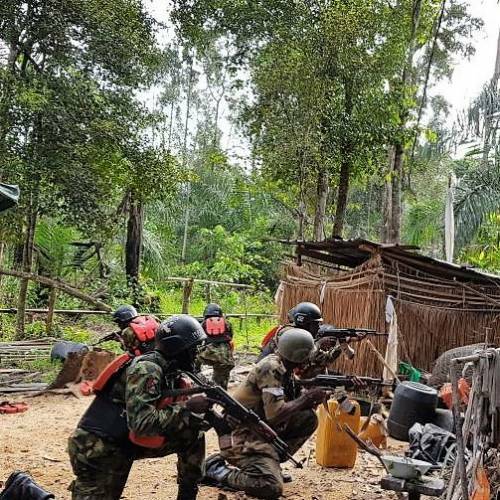 “As we talk, militants like Felix Odowu, Osuwo Osiya and a notorious gang leader popularly known as ‘Double Prince’ have all fled to the neighboring Ondo State following a hot chase by the soldiers.  Confirming the development, the traditional ruler in the community, Agadagba of Egbema Kingdom, HRM G.E.O. Tiemo, said he supports the military’s operation. “Though the militants threatened to stage a comeback, which the army is adequately ready to deal with, I must say that the Commanding Officer of the 19 Battalion, Koko, must be commended for the successful operation,” the monarch said. A Nigerian Army officer involved in the operation, who did not want his name published, told SaharaReporters that a total war has been declared on criminals and armed militants in the Niger Delta region, adding that the fleeing militants will be fished out without compromise. "The exercise is zero tolerance for criminals and all forms of criminalities in the region,” he said. 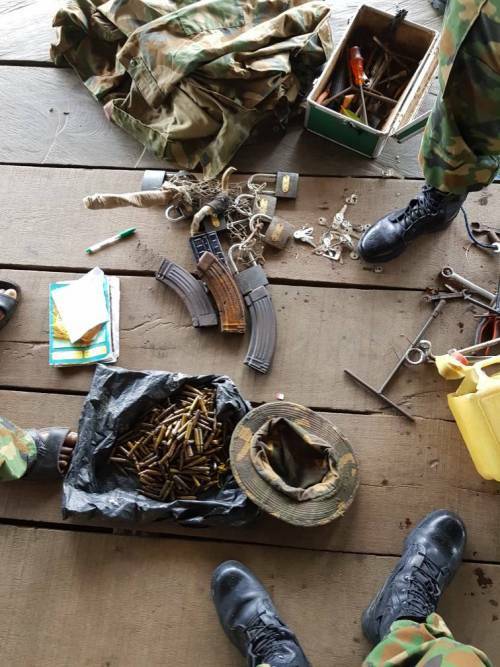 Items recovered from the militants include 320 x 5.65mm ammunition, 3x AK-47 magazine, a Techno phone, a world receiver radio, a GoTV decoder, a Sharp DVD, motor saw, a life vest, and army camouflage.